At The Redfearn Law Firm, taking action for the injured is much more than our business. When an accident caused by someone else's negligent actions leaves a person injured or grieving, we are here to help in every way we can. Our attorneys and staff are united in the mission to provide the utmost in attentive counsel and results-focused legal representation. This level of dedication has led to many honors, including our firm's ranking in Tier 1 of America's Best Law Firms by U.S. News and World Report. Since 1984, lawyers at our firm have recovered many millions of dollars for our clients and exposed many dangers to public safety, leading to significant, positive change. We hold wrongdoers, negligent corporations and insurance companies accountable for the consequences of their actions in an ongoing effort to protect others from similar trauma. We recognize that no financial settlement or award can fully compensate an individual for a serious personal injury or family members for a wrongful death. However, as shown by the results in our many significant cases, the money we obtain has provided many accident victims with the means to rebuild their lives. We stand up for our clients and fight for justice, regardless of the complexity of the case or the power and wealth of the opponent. Giving back to the community by supporting important academic, medical, foreign service and athletic programs is also a vital component of our practice. Prompt action to put experienced legal counsel to work for you can be critical after any serious accident. Your unique case and specific personal needs will be clear priorities when you contact our Kansas City, Missouri, metro area law firm. 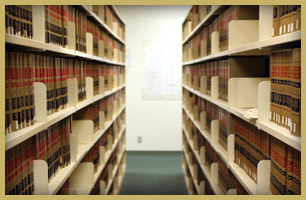 To speak with an attorney, call 888-894-8245 or contact us online anytime.